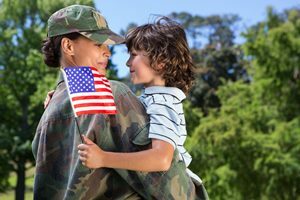 Berkshire Hathaway HomeServices The Preferred Realty is pleased to provide a FREE Real Estate Training and Support Program for our country's greatest heroes – United States Armed Forces Veterans and their spouses. 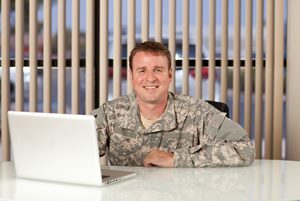 The Real Heroes Program helps our veterans and spouses embark on a new career in the exciting and lucrative career of real estate by providing FREE training, licensing and materials. Everything our heroes need to get started is provided, including the world class company support of one of the most respected brands in the world – Berkshire Hathaway HomeServices. This program applies to military personnel and their spouses who are currently active or have fulfilled their military service within the last five years. For more information on the Real Heroes Program or to get started contact a local Office Manager or Gina Verbanac at 412-367-9852. 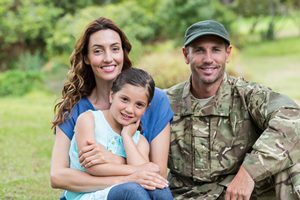 The Real Heroes Program offers United States Military Service Members and their spouses a reimbursement up to $2,500 in their first year to help offset fees and costs associated with becoming a real estate agent. Real Heroes Program participants must be a member or a spouse of a member of the United States Miliary Service. Participants must complete the Program Addendum. Participants must record all waivers and reimbursements on the tracking sheet provided by his/her manager. Agent shall not be reimbursed for any fees not included on the written program offerings. Reimbursement will cease once $2,600 has been reached or at the agent's first year anniversary. Agent must remain active with Berkshire Hathaway HomeServices The Preferred Realty for a period of two years folowing their active agent status. If the agent does not remain active with Berkshire Hathaway HomeServices The Preferred Realty or record two closing in a two year (24 months) period, the agent will be responsible for returning all funds received pursuant to the Agreement. If agent or the agent's spouse is deployed to an area where a Berkshire Hathaway HomeServices broerage does not exist within 30 miles, the agent will not be responsible for returning any funds. For a complete guide of rules and restrictions, please contact a local office manager. I am interested in getting more information about starting a career in real estate.